You didn’t find any treasure? it was such a pleasure to read it! Great poem and story. Judging by the comments, I feel like I’m the only one who caught the melancholy undertones. Loved it. This is an awesome piece! Appreciate your poetry! Great message and humour combined.Amazing!!! Humorous, but with great lessons. 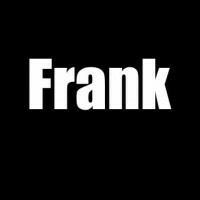 Well done Frank. Haha! You’re too awesome!!! 💯💃so good! A perfect solution for fighting families.A funny one though.If they are willing a week’s trial. very nice story about the story. Many times we go to find the happiness outside the house forget that the happiness is in our own house in living together with love & support. Such sagacity … I love it! Happy New Year Frank! Cheers! Ha ha good one ! !